Mathematics is more important than ever, but phrases like "math avoidance" and "math anxiety" are very much in the public vocabulary. 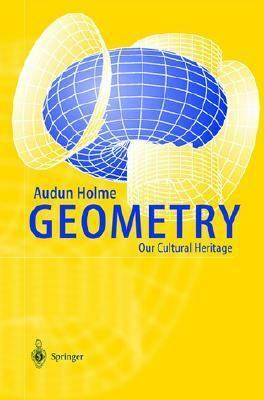 In addition to providing an invitation to mathematics in general, this book emphasizes the dynamic character of geometry and its role as part of the foundation for our cultural heritage. Aimed at an informed public and future teachers of mathematics, it seeks to heal the ills of math phobia in society.Holme, Audun is the author of 'Geometry Our Culture Heritage' with ISBN 9783540419495 and ISBN 3540419497. Loading marketplace prices 3 copies from $13.59 How does the rental process work?